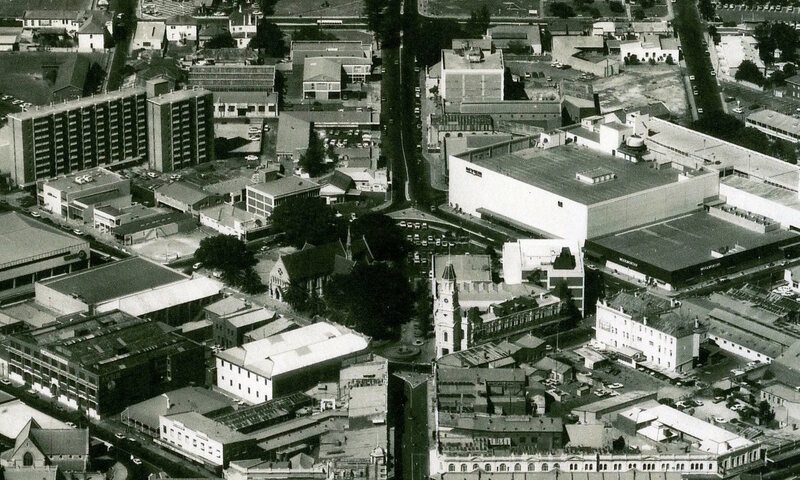 The Fremantle Society Newsletter index has been developed to make the articles in the newsletters more accessible for researchers of Fremantle’s History. 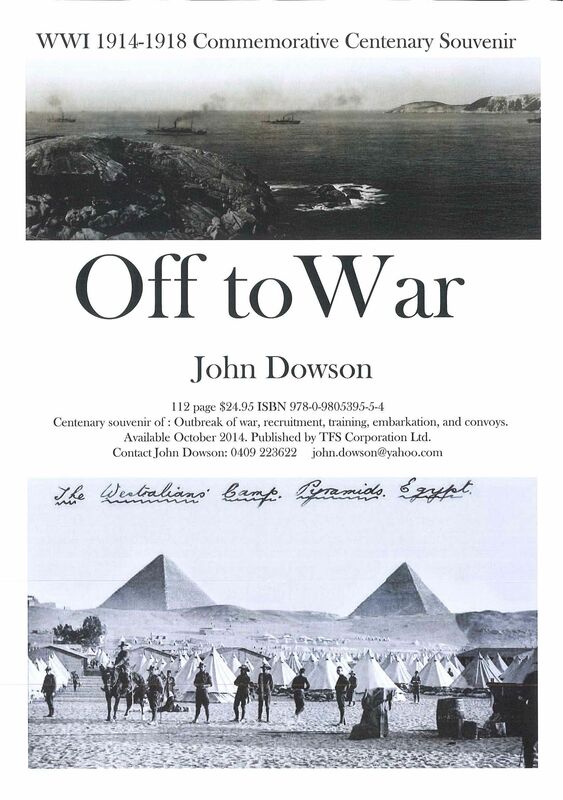 A print copy is available at the History Centre at Fremantle City Library. Staff can assist with searching the print copy or an electronic copy. It is indexed by name, subject, place and article. Also included is a list of events which have been organised by the Fremantle History Society and a look at this list certainly demonstrates the range of topics and places the society has highlighted over the years. Also listed are the committee members for the last twenty years. 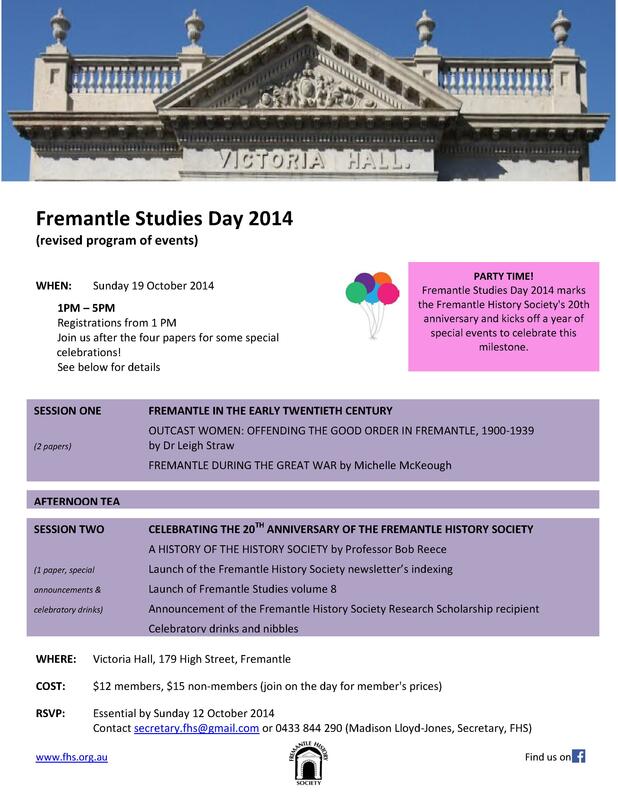 Please note that the Studies day will be held on the 19th October 2014 at Victoria Hall, the date in last week’s Fremantle Herald was incorrect.